How do you create peace and joy in a neighborhood famous for its gangs, crime, poverty and lack of opportunities? Hope’s Nest has been doing just that for nearly 30 years. Hope’s Nest is a small, grassroots public charity dedicated to enriching the lives of inner-city children in the greater Los Angeles area. 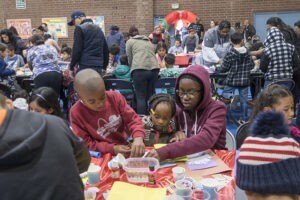 The all-volunteer organization works on the front lines of the most forgotten L.A. neighborhoods, by providing tutoring, art workshops, field trips, and supporting the work of a tireless foster Mom, who takes in kids running from gangs and a life of poverty. As their Mission Statement says, Hope’s Nest “serves the critical needs of Los Angeles children.” And studies show children who face the threat of daily gang violence, rarely expect to see their 18th birthdays. It all began in 1989, when L.A. TV newscaster Lonnie Lardner covered a story on drug-dealing kids; she had no idea it would change her life forever. While investigating a hardened 9-year-old dealer “lookout” in South Central Los Angeles, it became clear to her that these beleaguered inner-city children needed options. 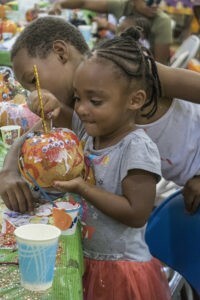 Trained in fine art, Lardner partnered with the city parks department to launch a series of art workshops. After the Los Angeles riots of 1992, she met Chuck Mills, a concerned Calabasas businessman, and expanded the work to provide food, clothes, and literacy programs at the Los Angeles Public Library. In 1997, Hope’s Nest, a California public charity, was born. 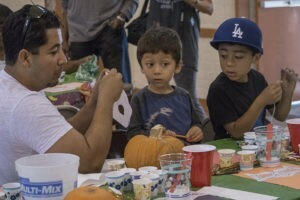 Since then, Hope’s Nest has sponsored dozens of art workshops for families in the heart of the inner-city, South Central Los Angeles. These are creative holiday painting sessions — with no rules. The community enthusiastically embraces the opportunity for self-expression and the freedom to create. Visitors are always stunned by the impact of a few gallons of paint, containers of glitter, and random sprinklings of beads. 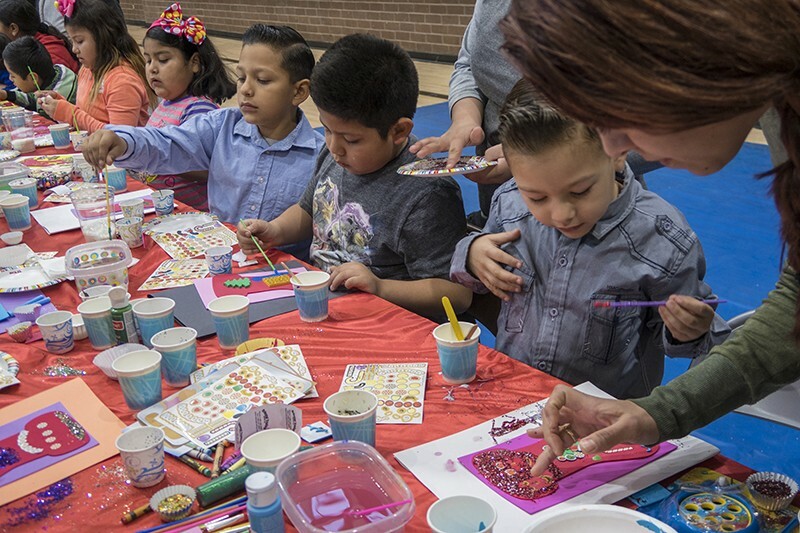 Toddlers, teens, grandmas, dads and moms sit with one another for hours — simply making art. 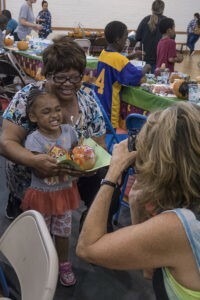 A sense of peace permeates the room as people of all ages and races explore the power of art and creativity. Endless options and solutions are investigated and manifested to spark hope and joy. A sense of pride and accomplishment shines on so many faces as they leave the park that really lets them play.